What if Lionel Messi was from Rotherham and not Rosario? Most might think that a hopeless fantasy. Alf Galustian thinks: why not? “There are one-offs in this world, Picassos and Mozarts,” he says. “Messi is a one-off. But I’m certain everything he does can be taught. Galustian, a former Wimbledon trainee, is a lost pioneer of skills coaching. He has spent most of his 30-year career working abroad, earning international repute and admirers such as Arsène Wenger and Jurgen Klinsmann, and is at last in demand in his own country. The Premier League is employing him as its Skills Adviser; the FA has him as a consultant. He has just had invitations from two diverse managers. Tony Pulis; yes, Tony Pulis, wants to bring skills coaching to Stoke. Who wouldn’t want to develop a more technique-rich football, the sort Barcelona and Messi showcased in the Champions League final? Because it was played at Wembley, the game might influence England more than any other country. The magic of Real Madrid 7 Eintracht Frankfurt 3 at Hampden Park in 1960 inspired a generation of Scottish coaches, including Jock Stein and Sir Alex Ferguson. Could Barcelona’s artistic annihilation of Manchester United spur new thinking in England? The climate is there. Suddenly there has emerged a coalition of the willing who want to take the development of English players on a different route. Gareth Southgate, the FA’s head of elite development, has unveiled plans to remodel grassroots football that involve preventing children playing 11-a-side until under-13 level, putting England in line with Spain, France and Italy, and refocusing development on small-sided games and skill. The FA’s thinking chimes with the Premier League’s Elite Players Performance Plan (EPPP), on which clubs vote this week. It seeks to raise academy standards, the standing of youth coaches and — to a radical degree — the hours clubs spend working with talents. Ferguson, who says emulating Barça “is a wonderful challenge” his club must meet, is the EPPP’s most ardent supporter . Joining the FA and Premier League are coaches themselves, the most important coalition members. They have never been more open to new ideas; hence the interest in Galustian. With the former Chelsea hero Charlie Cooke, Galustian evolved a coaching programme based on the ideas of Wiel Coerver, a Dutch guru who led Feyenoord to Uefa Cup victory in 1974 and devised a method of teaching youngsters based on mimicking the tricks and movements of great players. 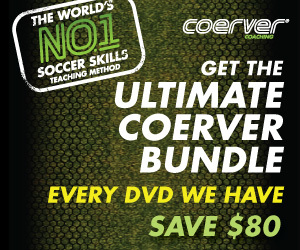 Galustian spent 18 years propagating the Coerver Method in Japan, and 312 players trained at Coerver schools there progressed to the J-League, including five of the current national squad. “Messi is the maestro and I think coaches can use this wonderful icon to excite young players to do long and consistent practice that is essential to acquire such super-skills,” Galustian says. “Messi does it naturally but he is our teacher, we can break down and teach his movements through repetition. His genius is knowing not only how to make his wonderful actions but when and where — yet this knowledge will come as young players play more small-sided games, encouraged not to fear failure. 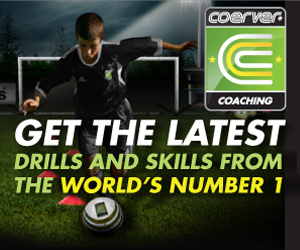 Learn more about creating a Lionel Messi over at Coerver Coaching.